Article published by Daily Herald, October 3, 2018, view here. After years of setbacks, the DuPage Business Center in West Chicago is getting several new projects that officials say will bring jobs and economic development to the area. New facilities for Suncast Corp., Greco and Sons Inc. and Norix Group Inc. will be built at the 800-acre campus south of Roosevelt Road. In fact, construction already has started on a 782,000-square-foot building that Batavia-based Suncast will lease from Pritzker Realty Group. During an event on Wednesday, the business park’s owner — the DuPage Airport Authority — welcomed the three companies while announcing two other pending projects. All five would amount to more than $24 million in purchased land and encompass roughly 170 acres. “This means construction of more than 1 million square feet of new buildings, hundreds of jobs located here in DuPage County, construction jobs, and positive economic impact,” said Stephen Davis, chairman of the DuPage Airport Authority Board. Revenue stemming from the deals will be allocated toward FAA-mandated upgrades at the airport. Meanwhile, estimates show the Suncast and Norix projects will jointly provide nearly 400 permanent and more than 600 construction jobs, generating a combined $94 million in economic impact. Employment estimates from Greco are still under evaluation, officials said. Suncast, which manufactures custom wood structures and resin products, is planning to replace a warehouse in Montgomery with the future warehouse, distribution and showroom facility in West Chicago. Sean Maher, managing director at Pritzker Realty Group, said the 40-acre site was chosen in part because of its proximity to Batavia. It’s also not too far from expressways. “It’s a good location,” said Maher, adding that the DuPage Business Center is one of the few sites left in the county with sizable pieces of buildable land. Norix Group, which makes commercial furniture, decided to stay in West Chicago and build a new 200,000- square-foot global headquarters in the business park. Meanwhile, Greco and Sons, an Italian foods distribution company based in Bartlett, has signed a $6.2 million agreement to build a new food processing and warehouse center on 46 acres. Originally dubbed the DuPage National Technology Park, the site was envisioned for high-tech businesses. State officials had so much faith in the project that the Department of Commerce and Economic Opportunity awarded a $34 million grant for roads, utilities and landscaping. But the site struggled for years to find tenants. Officials say that changed when the airport formed a partnership with West Chicago and NAI Hiffman, the commercial real estate firm marketing the business center. Working with other taxing districts in West Chicago, a “strong package” was offered to attract developers and companies to the site, according to Mayor Ruben Pineda. “The package, which includes many tax incentives, made perfect economic sense in the long run due to the enhanced revenue streams that will be realized for our community,” Pineda said. 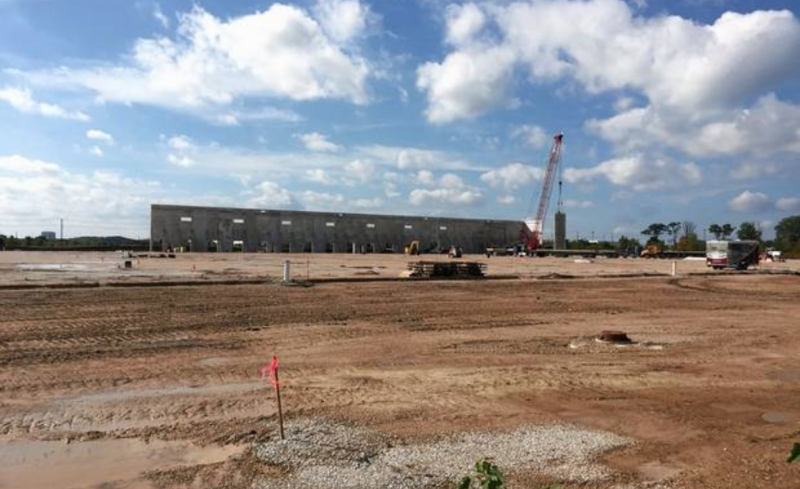 DuPage County Board Chairman Dan Cronin said he’s “delighted” by the progress that’s been made at the business park.